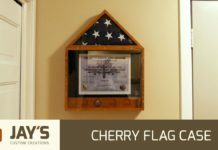 I gathered pallets and wood from renovation sites and dumpsters. It was a long process to disassemble, pull out nails and sand off the outer layers of ugly. Underneath I discovered beauty in the bare pine, fir and oak. 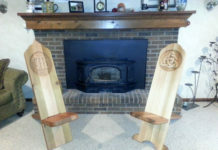 The character of the grain and knot holes showed themselves and I knew I was on the right track. 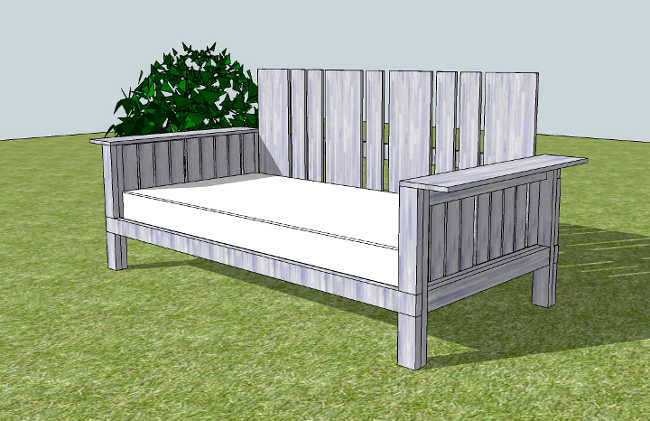 The finished dimensions of the daybed were dependent on the wood I had and the size of the twin mattress I used. I used SketchUp to work out the design and building stages. Being able to see the project in 3D gave me the ability to see the problems and redesign when I needed to. I stained the wood with a light blue gray solid stain that I lightly sanded to let some of the grain show through. Finally I applied two coats of satin finish to protect the wood. I designed the mattress and pillow covers out of white cotton denim. 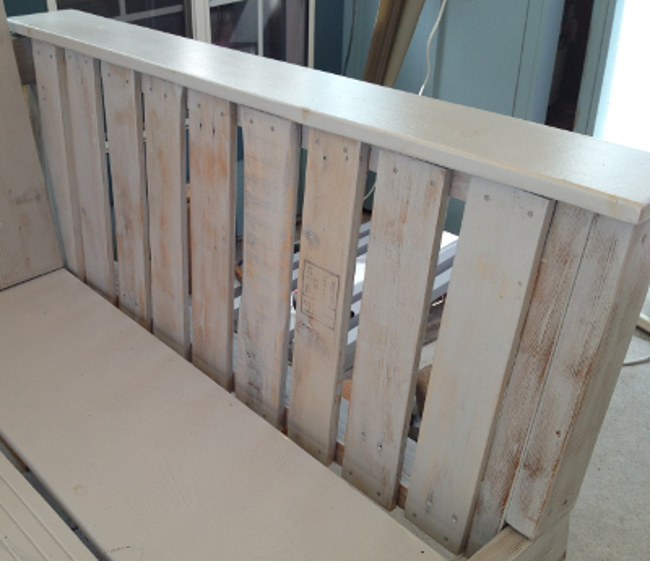 That is a wonderful piece of furniture, and to know it was made from junk pallets makes it that much better. Great Job !! It make us wonder about the things we through out. 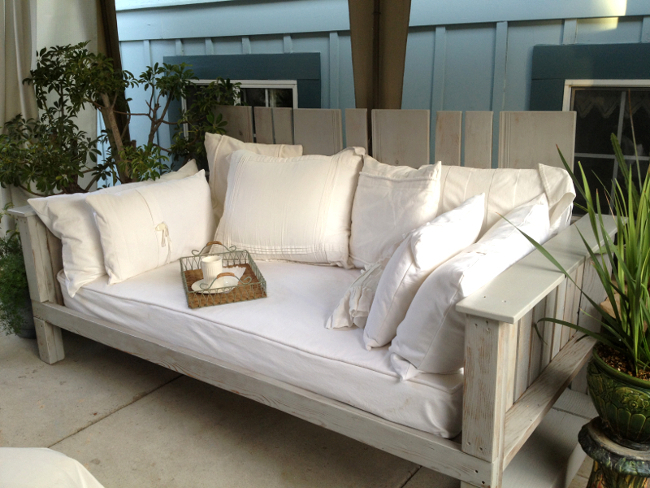 Awesome daybed. Beautiful! I love that she “rescued” the wood! great job!! Sure I will appreciate more details on the baseboard design, see how its all put together.. I love it, do you have any plans available?